Trash bags on a roll. Each Bag It dispenser comes filled with extra large 17” trash bags that are lightly scented to control odours. 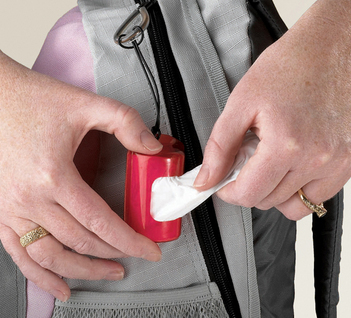 The conveniently sized dispenser and rubber cord makes them easy to keep everywhere.